The 1939-1945 occupation of Poland by Nazi Germany, which organized the worst genocide the world has ever seen. The subsequent 44 years of Communist rule, during which Poles were taught only that they helped Jews during the war and that discussion of contrary facts was forbidden. The opening up of Polish society after 1989, including revelations of cases where Poles persecuted and killed Jews. The careless use of the phrase “Polish death camps” by Western politicians and media to refer to Nazi-run camps like Auschwitz. The rise of a populist right-wing government in Poland which views itself as the redeemer of what it perceives to be Polish historical honor. It is interesting to consider why this debate is occurring now, so many years after the end of the war. Before his death last year, an elderly Polish-Jewish Holocaust survivor confided in me his fear that what happened during the war would eventually be forgotten. At the time, this seemed hard to believe, given that the Holocaust is one of the most studied events in history. But the passing of the war generation appears to be changing things more quickly than expected. Today, even the youngest Holocaust survivors are elderly, and those who reached adulthood during the war years are in their nineties. In recent years, Poland has lost important public intellectuals who were active participants in the key events of the war and subsequent post-war discussions. These include Marek Edelman, a Jewish leader of the Warsaw Ghetto Uprising who later became a prominent doctor and member of the Solidarity movement, and Wladyslaw Bartoszewski, a Catholic member of the Zegota underground group which helped Jews during the war. Bartoszewski was imprisoned in Auschwitz and became Polish Foreign Minister after the fall of Communism. Without voices like these, which spoke about the war with clarity and nuance from personal experience, the discussion is increasingly dominated by those who were not there and who are not interested in understanding its complexity. The Holocaust and the events of the war appear to be undergoing a rapid process of ‘historical compression.’ Professional historians will continue to research and write histories, of course, but as events recede into a past beyond personal recollection, public knowledge of those events shrinks greatly. Consider how little public acknowledgement there is of cataclysmic events like World War One, which ended less than a century ago, to say nothing of enormously important events from prior centuries. Hard as it may be to believe, the Holocaust and Second World War might eventually slip below the surface of public memory. Events which claimed the lives of tens of millions of people may eventually be reduced to a few fragments of knowledge except among the most interested students of history. This process of historical compression informs much of the debate about Poland’s new law. The desire to achieve a simplified understanding of the role of Poles and Poland in the Holocaust is understandable. It is also impossible. It is not an abdication to say that the events were too complex, the actors too numerous and varied, to permit an easy conclusion. At the start of the war, there were over 20 million ethnic Catholic Poles, and over 3 million Polish Jews, each an individual with a unique character, motivations, and moral compass. Take, for example, the role of collaborators.Edelman’s 1946 memoir The Ghetto Fights recounts pogroms against Jews committed by Polish “hoodlums” just months after the war started, and the role of the Polish police in the liquidation of the Warsaw Ghetto. More recent histories have recounted the murders of hundreds of Jews at Jedwabne and elsewhere by Poles. But we also know that during the war the Polish underground executed thousands of Poles who collaborated with the Germans, and extended some organized help to Jews through Zegota. Clearly some Poles were “co-responsible for Nazi crimes,” to use the language of the new law, even if the entire nation was not. On the other side, Edelman also recounts the role of the Jewish Ghetto police in rounding up Jews for deportation to the death camps, and in a chilling aside, mentions the death sentences carried out by the Jewish resistance against “Jewish Gestapo agents” who were informing on their own people. What conclusions can be drawn from these facts? Only that a collaborator or opportunist could be of any background, even that of the group most persecuted by the Nazis. If there is a broader lesson here, it is that virtue and vice are personal. During the many centuries they shared a common land, there were Poles and Jews who behaved decently or even beneficently, and others who behaved shamefully. This does not mean that both groups suffered equally during the war — clearly the Jews of Poland were victimized more than Catholic Poles. It is just a reminder of the obvious fact that good and bad are not designations that can be applied simply by looking at ethnicity. There are two points here that apply to Poland’s new law: first, Poland as a nation, and Poles as a group, are not collectively responsible for the actions of the worst among them. Poland differs in this respect from Germany and countries with collaborationist governments (such as Hungary) because Polish collaboration was individual, rather than organized; indeed, the organized Polish wartime response to collaboration was to punish collaborators. However, the heroic deeds of a minority of Poles during the war also do not belong to Poles as a group. The vast majority of Poles who helped Jews did so as individuals, and not as part of a collective effort. Setting aside the work of Bartoszewski’s small group Zegota, there were very few organised efforts of significance made to help Jews trapped under Nazi occupation. The vast majority of Poles were simply passive in the face of Nazi terror. That is the fundamental flaw in the new Polish law: it punishes those who wrongly claim that Poles are collectively responsible, while doing nothing to stop those — including the Polish government itself — who build myths of a collective virtue that never existed. John Litwinski is a former attorney and entrepreneur living in the United States. And, while individual guilt is always present in human history, some context would help to understand the situation. In the occupied Poland – and only in the occupied Poland – the punishment for helping Jews was death. The punishment for giving a slice of bread to a Jew was death. The punishment for giving shelter to a Jew was death for the whole family, and often neighbours. The punishment for not denouncing someone helping Jews to the Germans was death. And this is what happened to many Polish good Samaritans. What also struck me in this article was bringing up the Jedwabne case in as a settled evidence of Polish guilt. There’s really not much evidence to it. Also, it was really convenient of Mr. Litwinski to omit the fact that occupied Poland was the only place with a death penalty for helping Jewish people. Think about why. – “The vast majority of Poles were simply passive in the face of Nazi terror” – as a simple statement, it is indeed correct. As an accusation, as I’ve seen the argument used a few times, it is circular reasoning. It bears repeating, that occupied Poland was not occupied France. The Nazi terror included mass round-ups and executions on a scale unseen in Western Europe. The accusation of “building myths of a collective virtue” is quite unfair, as it a) seems to neglect the “under the circumstances” factor, b) seems to force the Polish people into accepting moral standards higher than anybody in the world was at the time expected to live by. There were plenty of villains those days. Find me another nation with so many heroes. – the seeming lack of knowledge in the West of the nonexistence of Polish collaboration with Nazi Germany on a state level makes some of the language used in the discourse highly unprecise. Even the author falls into this trap by calling the Blue Police Polish (it was, because it consisted mainly of Poles. It wasn’t, because neither the government-in-exile, nor the Polish Underground State had anything to do with it – it was run entirely by Germans). The phrase “Polish death camps” had been in the past explained to be a victim of a similar ambiguity (“Polish” being the location), but the use of it has been since condemned as slanderous and highly offensive by all sides, many times over, and yet, to the horror of the Polish people, it still re-appears. While I personally do not agree with this particular bill’s way of pushing the truth by infringing upon freedom of speech, I do see the need for a systemic response (state-sponsored lawsuits?). The punishment for giving shelter to a Jew was death for the whole family, and often neighbours. The punishment for not denouncing someone helping Jews to the Germans was death. And this is what happened to many Polish good Samaritans. Abhorrent Nazi scum. What happened to the Germans in the 30s and 40s…. shameful. – Poland had the biggest underground resistance movement in Europe, most society identified with it. – Punishment for hiding the Jews was death to whole familly (sic!) from German hands, Poland was only country with that harsh law. Are you really wonder why most society was neutral? Would you risk the life of your kids to help people you even dont know? Also no one writes about Jews attitude toward communists when they attacked Poland twice, in 1919 and 1939. Many Jews were really unloyal and helped communist to go after many Poles who later were killed. Polish people didnt forget that. And this happened again, after the Soviet ‘liberation’. But there is another important factor. Recently, I’ve read a story of one family’s effort to save a Jewish man and his son. It ended badly. The main problem this Polish family had, they could only hide them, because both Jews spoke Polish with a very heavy accent. This is quite symptomatic – millions of Polish Jews were not integrated. They lived in their own towns and villages, they spoke their own language, they had very distinctive clothes. Living in their own milieu, they often had no Polish friends. Besides, Poland has the biggest European Jewish population, by far. You can hide one, ten, a thousand – but millions? Exactly what direct harm is done in stating what it is now illegal to state? Is it enough to outweigh the very obvious risks associated with limiting free speech? If, when stated, these viewpoints can not be supported by irrefutable evidence then they can be shown to be false. If, when stated, these viewpoints can be supported by irrefutable evidence then the truth is being stated. Surely it is very instructive that this type of law is among the first actions taken by regimes which Poland is apparently trying to distance itself from. What about laws regarding holokaust denial in Austria, Australia, Belgium, Czech Republic, France, Germany, Greece, Hungary, Israel, Italy, Liechtenstein, Lithuania, Luxembourg, Netherlands, POLAND, Portugal, Romania, Russia, Slovakia, Spain, Switzerland, EU as a whole? Is this also very instructive and you will vaguely compare all those states to totalitarian states? The legal framework may be different, from country to country. In the US, you can say whatever (but you may be in trouble afterwards). In Europe, generally, the free speech is curbed. Personally, I’m for the freedom of expression. Including Holocaust denial. But Poland has the right to adapt laws similar to other European countries, and yes, to Israel as well, as Ian correctly stated. Much irony here. 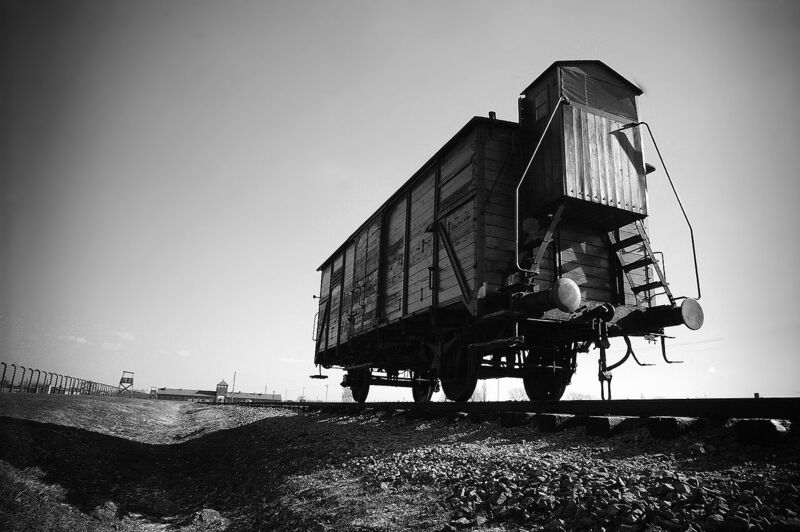 The piece refers to a Holocaust survivor who laments that the Holocaust’s horrors will be forgotten, but the author then fairly soft-pedals and downplays Polish responsibility in the Holocaust. Commenters then continue to deny, obfuscate, and blame the Jews for their murders. The message is that modern-day Poland wants to rebuild its nationalist soul, and in doing so will forever refuse to face its actual history of anti-Semitic hate. This is exactly how the Holocaust will be forgotten! Nobody will face their responsibility, and so in time the horrors and the possibilities for lessons learned will vanish. Poland’s once-thriving Jewish soul fled, was murdered, or was chased out before, during, or after the war. Modern Jewry has moved on. Jews today ask the global community to face and remember the Holocaust in order to keep a moral compass for all humans as we all — all nations — move forward. How can genocides be prevented or understood if they’re swept under carpets and denied each time? Poles don’t do themselves or the world any favours by denying, obfuscating, or censoring horrific, murderous events that occurred in their cities, villages, and forests. They take no leadership role in the world through this new bill, and quite the opposite is evident. Better pieces regarding the bill may be found here, and anyone who wishes to face the truth of centuries-old Polish anti-Semitism can find many good books by Holocaust scholars and survivor memoirists. A disappointing piece and disappointing comments. I think recent film by Pawel Pawlikovski Ida tells the story perfectly. By the way are they going to arrest him now? Please, I suppose the Katyn massacre and the murder of the best and brightest in Poland, was the Germans fault? And the most studied event in history? Germany, is a tad smaller then the state of Montana. Germany had 2,700,000 tons of bombs dropped on their country and was invaded by 2 million Russians and the allies – it was consumed by total war. We are to believe that the Germans had a functioning health care system, in the final year of the war, and that people were not dying in mass from disease and starvation? Hollywood and Spielberg take the horrors of the Holocaust into classrooms – now that’s show business and stories to scare small children! “Beyond the pale…” indeed, the victim narrative if getting long in the tooth – time to join the human race and give up the chosenness. Uri Avnery, article in the Haaretz, captures it best. Unfortunately, there is indeed a “narrative” of demonization of rural Poles being written that the author of this piece misses. It is consistent with the narrative found in places of learning across many Western nations that demonizes and “others” rural inhabitants. If you are an educated Westerner, you probably grew up with this narrative and don’t notice it — or, if you’re a standard-issue coastal liberal, are even proud of the nagging feeling of guilt, which you perceive as evidence of moral virtue. To Poles, suddenly finding themselves being demonized as a group — for crimes done by relatively few individuals, under the conditions of a foreign invasion that had institutionalized anti-Semitism as a policy — is incredibly jarring.